Paper manufacturer Robert Horne tasked Magpie with creating a campaign to launch Imagine, its latest range of paper. 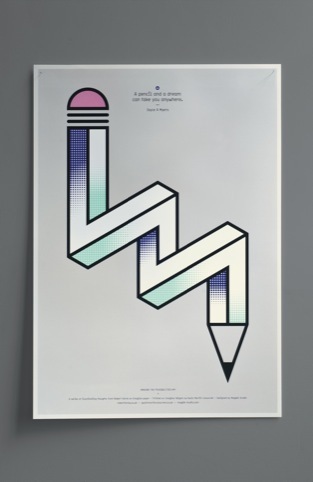 The consultancy developed a campaign which paired evocative thoughts on the nature of creativity with seemingly impossible illustrations to create a set of posters. The Chase was briefed to create a campaign to promote the launch of D&AD’s new Graduate Academy, which will place 50 top graduates with creative organisations. 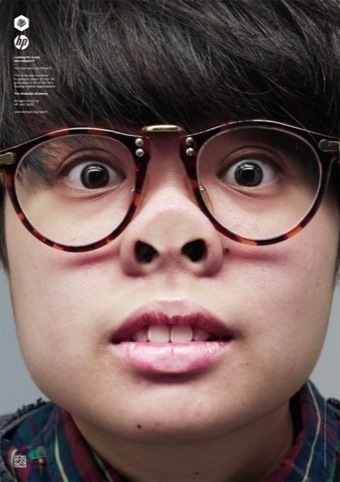 The consultancy worked with photographer Paul Thompson to develop a campaign which features real students and graduates. Hat-Trick was briefed to design stamps to mark the 50th anniversary of the Royal Shakespeare Company that would portray key productions from the past decades. The consultancy selected appropriate production shots and worked with illustrator Marion Deuchars, who developed energetic, free-flowing lettering for the stamps. The Yard, an Edinburgh-based children’s charity, uses its annual report and a major fundraising document, and as such Tayburn was keen to bring the essence of the charity to life in the document. The report uses a scrapbook style to capture the texture and touch of all the different materials The Yard uses, and also tells the staff and children’s stories first-hand. Tayburn was tasked to create a mailer for Lynn Forsyth, who provides proofreading and editing services for design consultancies and clients. She briefed the consultancy to help evolve her business from ‘kitchen’ to ‘cottage’. Tayburn created a mailer comprising a leaflet enclosed in a file folder, with the leaflet using well-known sayings and idioms that relate to accuracy. 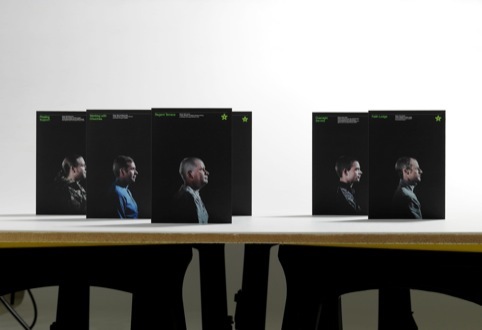 B&W Studio was briefed to unify all the communication materials for Leeds-based charity St George’s Crypt. The consultancy worked with photographer John Angerson to produce 15 portraits of people connected to the crypt, including clients, employees and local MPs. These images were used as posters and brochure covers, while reportage imagery was used inside the brochures. Mark Studio developed a poster campaign for Virgin Unite and Australian organisation Oasis Youth Services Network, which works to tackle youth homelessness in inner-city Sydney. The campaign aims to encourage people to donate small unwanted household items for newly-housed youngsters. Coy! Communications created this direct mail project to promote both its services and those of photographer Sean de Sparengo. 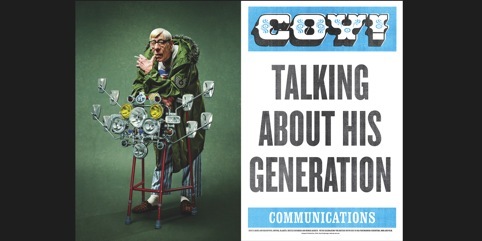 The mailer features a photograph of an ‘old mod’ complete with customised walking frame.